London wedding photographers having vast experience of Sikh Wedding Photography, providing you with modern day, creative and natural approach for your Sikh Wedding day Photography. The traditions and the wedding customs of Sikh weddings will be also be captured from your wedding. 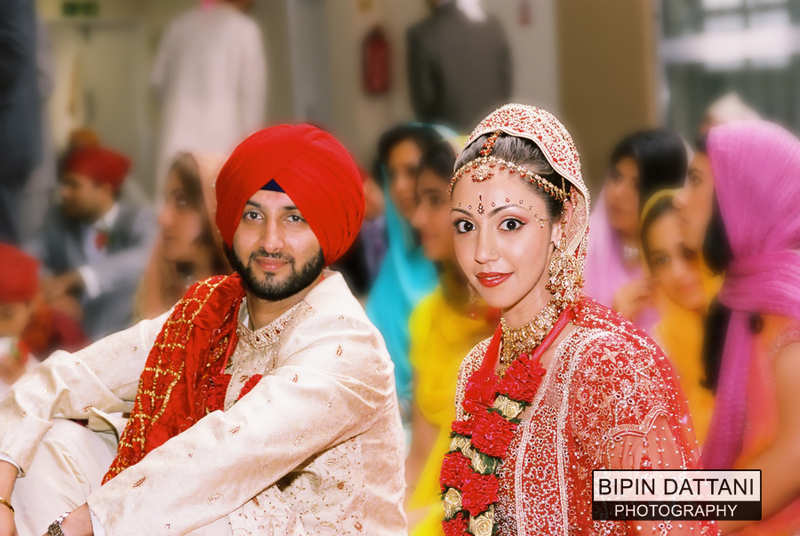 We can provide two photographers for your Sikh Wedding Photography – one arriving in the morning at the bride’s home and second photographer at the groom’s house, so that all the ceremonies and events of both families are photographed by Bipin Dattani Photography. This means you will have two wedding photographers during the ceremony with photographs being taken from different angles to give you a more extensive coverage. Although based in London, and have therefore taken commissions for Sikh Wedding Photography in Southhall or Hayes we often get asked to travel to Leicester, Leeds, Manchester, Birmingham, Cardiff, Coventry or any other city in the UK for your wedding day pictures. Just give a call on 07930 324833 with your enquiry.